Coaches from Danish club Vidar Ulkebol recently travelled to London to take sessions with under-16 and under-19 players at Ealing and West London Eagles. Tommy Vedstesen, Vidar Ulkebol club chairman, was instrumental in forging this relationship. He visited Ealing and West London representatives in London last May during the England Handball National Cup finals - and has been in touch since to build up this partnership and made the initiative possible. Tommy and fellow coaches Frank Olsen and Malene Stolberg took two sessions. It was a great opportunity for the players to be coached by players from a club that has contributed to the development of several Denmark national team players. Both clubs are now working on establishing a long-term relationship. Future initiatives will seek to increase the support given to coaches across various clubs if the interest is there. Tommy said: "Thanks for some wonderful days, with lots of great experiences and funny moments. "I am still smiling, thinking about how much the players got out of it, and I hope you will continue the good work you do with the players. "I hope this will be the beginning of a profitable period, for both clubs." 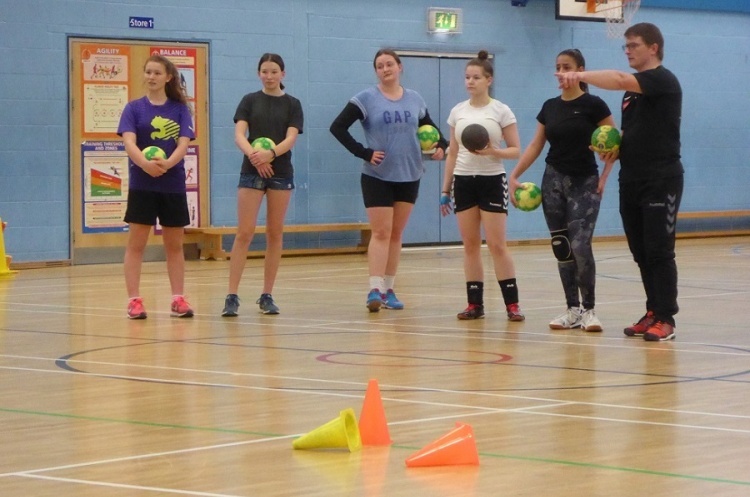 Ealing and West London representatives stated: "We are hugely grateful to Tommy and his colleagues from Vidar Ulkbol handball club for the excellent sessions they ran in West London. "The players thoroughly enjoyed the quality, intensity and fun of these sessions and we look forward to repeating the exercise as we develop the relationship between our clubs."